Progressive Era unit contains 10 learning experiences. 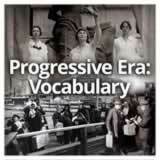 Students engage with key vocabulary related to the Progressive Era in U.S. history. The experience can be used as an introduction or a review at the end of the unit. 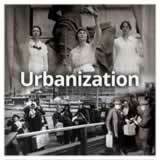 Students learn about the rise of urbanization in the early 1900s, and the problems arising from growth and redistribution of population. They focus on the problems of poor immigrants and workers, including internal migrants. Finally, they examine the groundbreaking photos of Jacob Riis, whose iconic book How the Other Half Lives alerted the public to the problems wrought by immigration and urbanization. 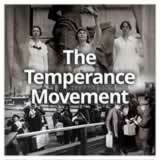 Students learn the history of the temperance movement and Prohibition in the United States. 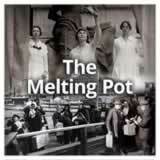 They outline the movement’s growth and success, the effects of Prohibition, and its decline. They give their opinions on Prohibition and discuss related issues such as whether it is ever valid to restrict a right. Students view media about women’s suffrage marches to help analyze the lasting impact of women’s suffrage in the United States. Then, they examine the events, issues, and personalities of this movement. They work together in groups to create an infographic of the women’s suffrage movement and the impact of the 19th amendment. Finally, they view and interpret a popular women’s suffrage map from the Progressive Era. Students view a short silent film clip from the Progressive Era. Then, they acquire information about silent films, vaudeville, and Tin Pan Alley music. Next, they explore how those forms of entertainment played into and magnified cultural attitudes of the time. Finally, students explore American popular culture’s continuing influence on the world. Students are introduced to muckraking journalism and the reform movement of the Progressive Era. 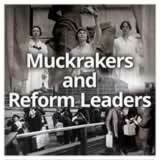 First they focus on prominent muckrakers and reformers. 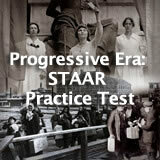 Next, they learn about the Pure Food and Drug Act of 1906 as a prime example of Progressive Era reform that had a lasting impact. Finally, they ponder the topic of investigative journalism itself. 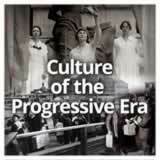 including the Progressive Era Unit.